Running forces your body to work harder and, therefore, burns more calories. Finding the time to get out to walk or run is an accomplishment in itself. And despite their differences in intensity, both activities are effective at developing your cardiovascular system, improving mood and burning calories. But if you’re looking to maximize the number of calories that you burn during your workout, you should be aware of how much more efficient running will be for you, as well as how to make adjustments to your sessions of walking and running workouts to increase the number of calories you burn. The number of calories you’ll burn walking and running depends on a few factors, including how much you weigh and the intensity of your workout. The more you weigh, the harder your body has to work, which in turn equates to more calories being burned. As you’d expect, increasing the intensity of your walking or running session, whether it’s by kicking up your speed or exercising on an inclined surface, will mean you burn more calories. Walking, despite its moderate intensity, still burns calories and contributes to your efforts for reaching or maintaining a healthy body fat percentage. According to MayoClinic.com, a 160-pound person walking at 2 mph for 60 minutes will burn about 204 calories. If that person kicks up their speed a notch and walks 3.5 mph, she'll burn about 314 calories. 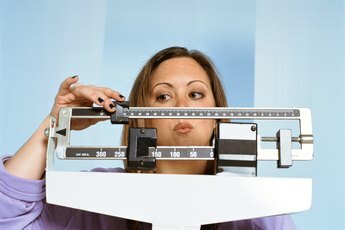 A person who weighs 240 pounds, because she has to carry more weight and work harder, will burn about 305 calories in 60 minutes of walking at 2 mph and about 469 calories walking at 3.5 mph. Running, unlike walking, requires you to actually lose contact with the ground for a moment. Your legs propel yourself upward and forward, and because of this increased work load required of your legs, you burn significantly more calories when you run. That 160-pound person who burned about 204 calories walking at 2 mph will bump up the calories she burns to 606 if she runs at the moderate pace of 5 mph. If she's able to run at 8 mph, she will burn about 861 calories. In turn, the 240-pound person will burn about 905 calories running at 5 mph and 1,286 calories running at 8 mph in 60 minutes. Although running clearly burns more calories than walking, you may be concerned that you cannot keep up a running pace for long durations. 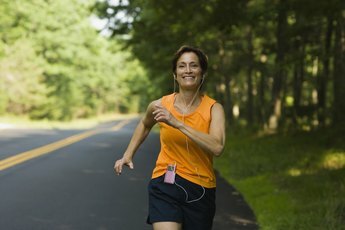 Keep in mind that you can incorporate periods of running within your walking workouts. For example, walk for two minutes and then jog for one. These short bursts of running will have an impact on the calories you burn. Also, these calorie values are based on walking and running on a level surface. If you dislike running, you can still increase the calories you burn during your walking sessions by slightly increasing the incline of your walking surface. Change the setting on the treadmill or walk up a hill. 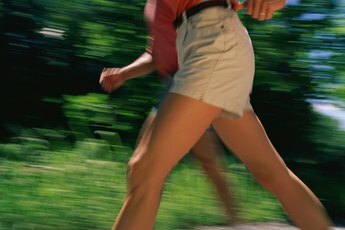 CNN.com: Which Burns More Calories, Walking or Running?